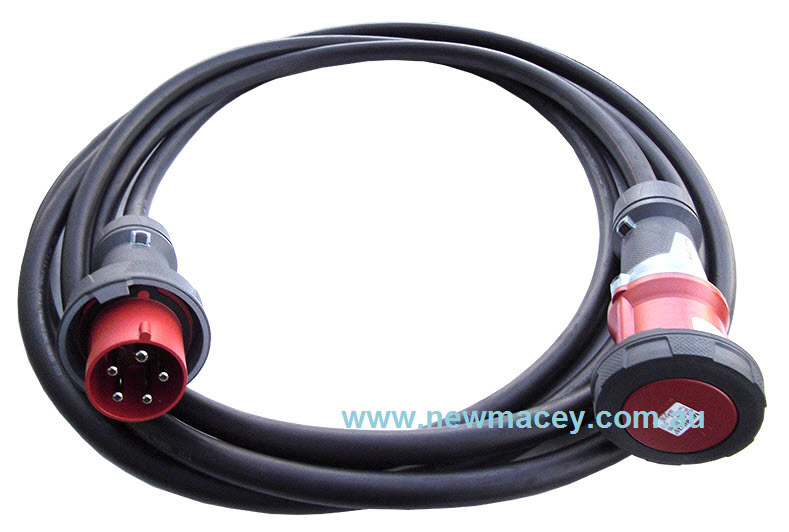 63 Amp 3 Phase 5 Pole Extension Leads New Macey Manufacture an extensive range of Interconnecting Extension Leads for 3 Phase 415V Industrial Extension leads with 5 Pin connections, with standard and Custom lengths. Available in 16 Amp, 32 Amp and 63 Amp connection Plugs and sockets with IP67 rating. Sizes range from 5m to 50m as standard sizes and custom sizes and combinantions available.